1920s radios do not normally find themselves in my radio collection, but this pristine Westinghouse was a great estate sale find. 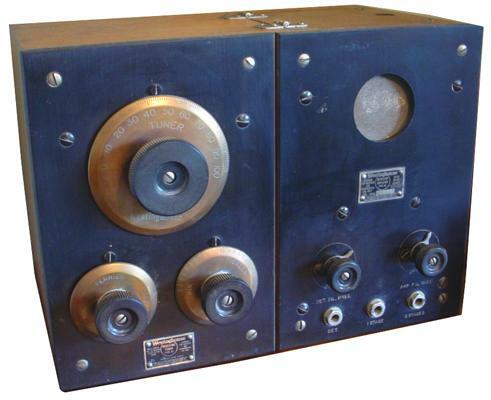 The Westinghouse RC radio is a 2-part set with the model RA tuner and the model DA amplifier. The RA tuner is a regenerative receiver with variometers for tuning and regen control, and the DA chassis contains a '00 for the detector and two '01As for audio amplification. My radio was purchased in good original shape and complete with tubes. It requires batteries or a battery eliminator to operate and earphones or a separate speaker.